safely lubricating surgical instruments. Safe for plastic, rubber, and all metals. This concentrated item is sold in One Gallon jugs and is available through our website in larger quantities. 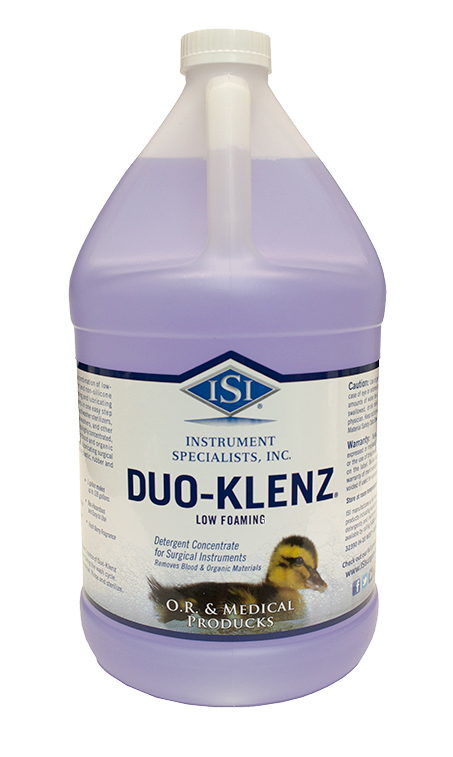 Mix ratio for Duo-Klenz is 1 ounce per 1 gallon of water.